ABOUT WHOLISTIC THERAPIES PTY. LTD.
Wholistic Therapies offers: Chiropractic & Osteopathy, Naturopathy & Herbalism, Neuro-Emotional Therapy, Frequency Specific Micro-Current, Bio-Impedance Analysis in two convenient locations: Ryde and Thornleigh. Find out more. A modern holisitic clinic that can facilitate Natural Fertility Management and use TCM effectively to help all of your health concerns. Find out more. In BUJA TCM clinic, we provide oriental herbal medicine, Acupuncture and Chinese remedial massage services for many illnesses to restore health and well-being in your body. Find out more. Acupuncture clinic specialising in the treatment of 'Infertility & IVF Support, Joint/Muscle pains, Anxiety, Stress, Tiredness, Migraines, Headaches, Allergy, Women's health, Digestive Disorders, Post-stroke Acupuncture Therapy, Rheumatoid Arthritis & Osteoarthritis, Insomnia & Chronic Cough. Find out more. 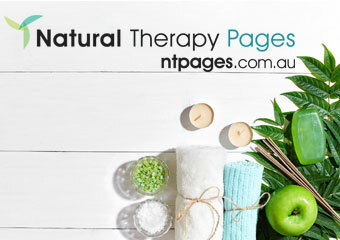 Treat what ails you the natural way, when you organise your next TCM treatment at Integrated Health. Servicing people living in the greater Leichhardt, Glebe & Balmain areas. Find out more. Traditional Chinese Medicine (TCM), Acupuncture, Cupping, Massage - Chinese, Moxibustion. Find out more. Are you interested in studying Traditional Chinese Medicine (TCM) Courses? Korean ginseng is a perennial herb that has been used for thousands of years as a natural antidote for various illnesses. The only part of the Korean ginseng that possesses health giving qualities is its root. The older the root, the more potent it is. Study: Can Chinese Medicine Treat Cancer? A recent report from China has found that Traditional Chinese Medicine (or TCM) may help treat cancer. A study led by scientists at Yale University has suggested that an 1800 year-old herb mixture used in Chinese medicine could improve the effectiveness of chemotherapy. Traditional Chinese Medicine (TCM) is a centuries old healing tradition that still enjoys widespread use today. Chinese medicine (acupuncture and Chinese herbal medicine), which is practised and utilised widely throughout Australia, has recently been added to the existing health professions that are regulated in all States/territories of Australia. Anne Levis from Chi-Chinese Healing College tells ntpagesTV that their focus is primarily on Traditional Chinese Medicine (TCM) emphasising the importance of mind, body and spirit to students. Learn how to regulate the bodies’ flow of energy (Qi) to balance the functions of the body and mind with Acupuncture. FEE-HELP available.